Everyone's roasting this clothing ad because of the model's hilariously tight shirt. Honestly, as hypocritical as it may be, sometimes it's really refreshing to see men objectified in the same gratuitous ways as women. Images of women busting out of skin-tight clothing, or naked draped on furniture next to fully dressed men are so common in advertising you have to consciously try to notice them. But salaciously posed men showing off their body in advertising (wearing a full suit does NOT count, we're talking skin or tight clothing here) is still relatively uncommon. Noting the obvious promotion opportunity, the men's clothing company Father & Son has tapped into the market of men wearing extremely form hugging outfits in their ads, and it was inspired countless threads full of hilarious roasting online. 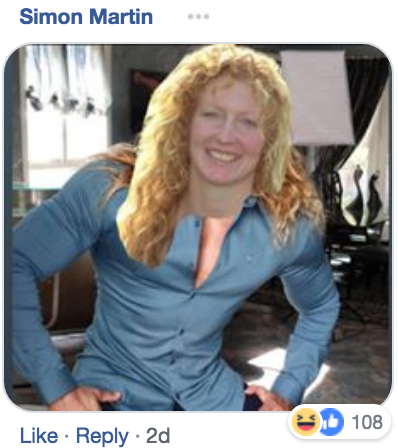 If you spend any time on their page you'll quickly notice that all the clothing is tight, and all the men are jacked. This is not a mistake, one of their regular models, Shaun Rez is a body builder who boasts less than 5% body fat (that is literally on his Instagram bio). 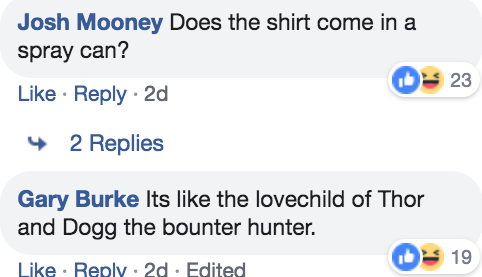 Needless to say, Rez and his fellow models have been the targets for endless roast jokes on the Father & Sons Facebook page, and a recent thread really takes it to the next level. The comments section is a full-fledged roast battle, directed more towards the company's advertising than Rez himself. People are not holding back, and it's not just on this photo of Rez, it's literally all of their advertisements on the page. 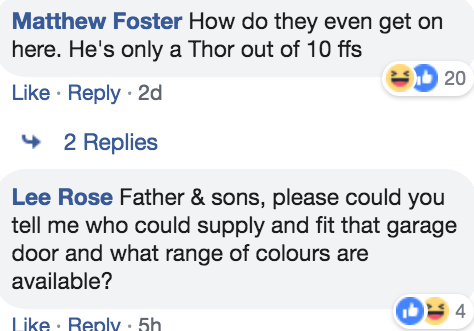 People are really hammering in all manner of Thor comparisons. Honestly, if you need a good laugh, just scroll down the page and you'll have yourself a free show.